Rugged charm and easy practicality set the Laced Leather Pouch apart. This medieval belt bag has decorative leather stitching along the edge of its rounded front flap, which secures in place with a loop around a decorative antique brass button, engraved with an ornate shield design. The soft suede of the bag comes in a variety of colors, and the leather lacing is black on all options except for the black suede, which features brown lacing. 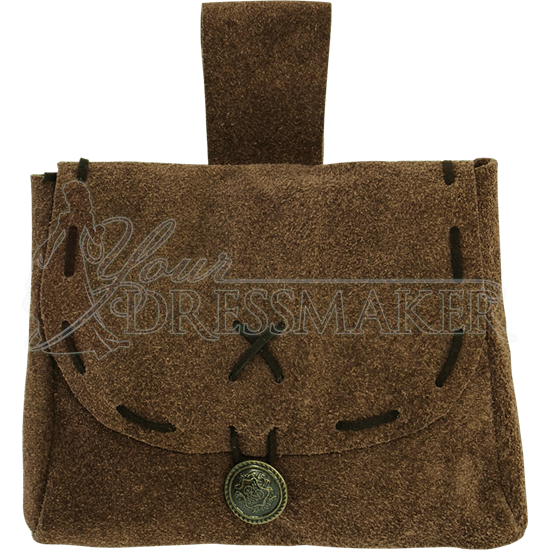 A belt loop on the back of this rectangular suede bag lets it easily slide onto your belt and accompany you on any journey. 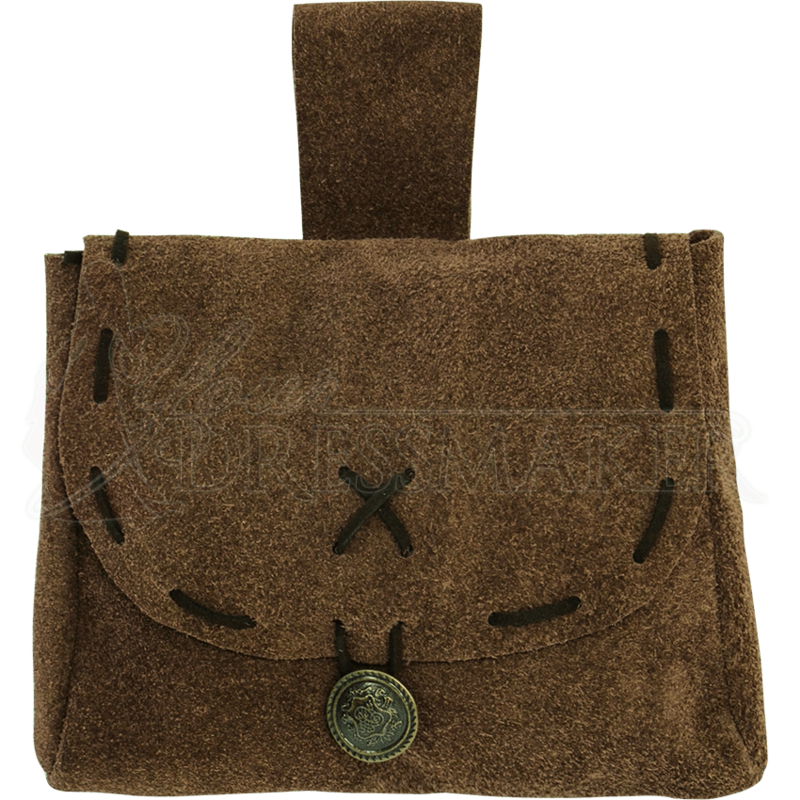 Keep your adventuring essentials ready at your side with this medieval belt pouch. Use a suede brush to clean off dirt or debris.